I've installed MasteCook 15 but I am unable to open it. Restart your computer. Leave all other programs closed for now. Start up MasterCook. Do you get an error message or anything? When you press and hold the ALT key on your keyboard and also press the Tab key, is MasterCook listed there? I have the MasterCook icon, but when I click on the icon, I only see Welcome to MasterCook 15. When I push the "Launch" button nothing happens. After pressing the Launch button, press and hold the ALT key on your keyboard and also press the Tab key, is MasterCook listed there? Three pictures come up as located on my desktop. MasterCook icon and others. Ok, that means it is running on your computer, and Windows has moved it out of view and off your screen. Use ALT+Tab to select MasterCook that is running. Then use ALT + Spacebar. Select Maximize from the menu that appears. If the above does not help, please do these things below. 1. Please restart your computer so that nothing is running. Open the C drive. Open the Users folder. Open the Public folder. Open the Public Documents folder. 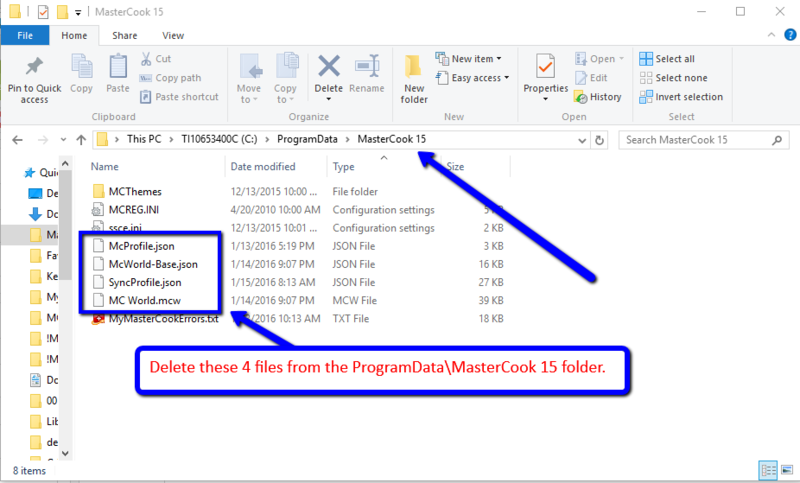 Open the MasterCook 15 folder. Open the C drive. Open the ProgramData folder. (If you don't see the ProgramData folder, that means Windows is hiding it from you.) Open the MasterCook 15 folder. 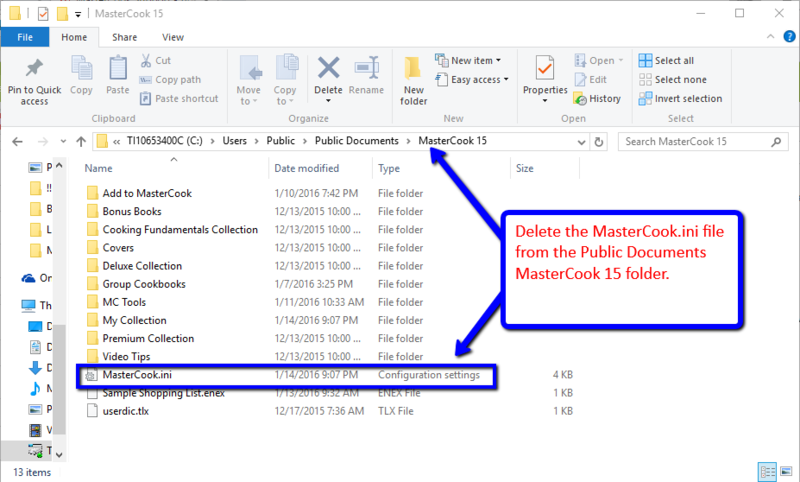 Do not add your files back until you verify both My MasterCook Manager and MasterCook 15 start up and work with their own files.